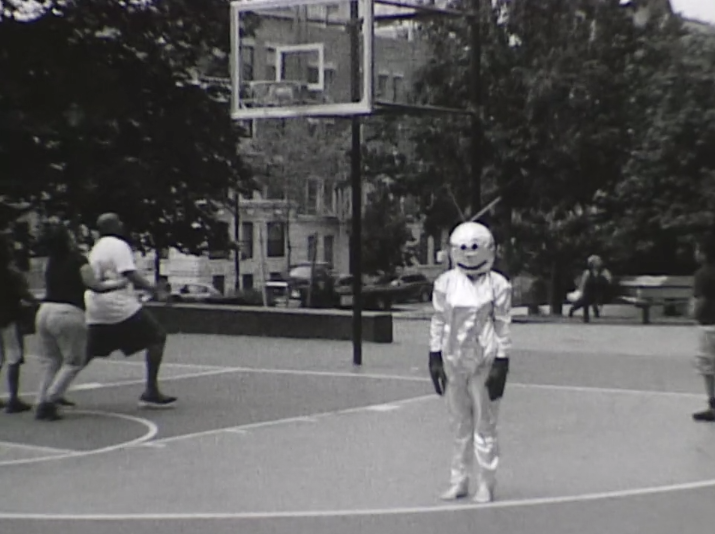 *Online Premiere* A silent experimental film about a space man’s first day in Brooklyn. 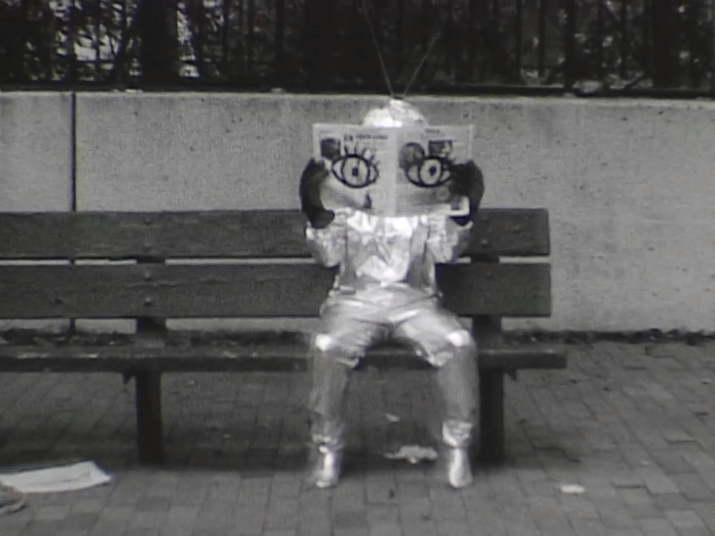 Directed by Travis Wood and shot on Super 8mm black and white film, “Just getting by is okay” communicates with a gentle playfulness and warmth. 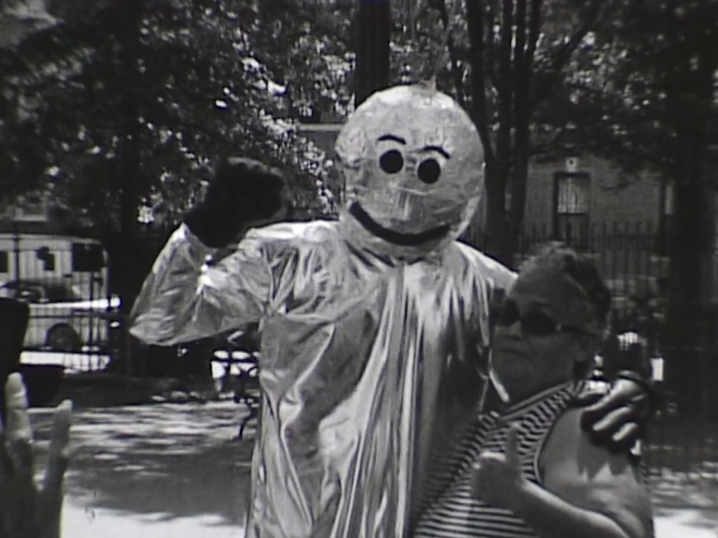 The ‘space man’ hits the streets to get acquainted with his new environment, attracting stares and strange looks. 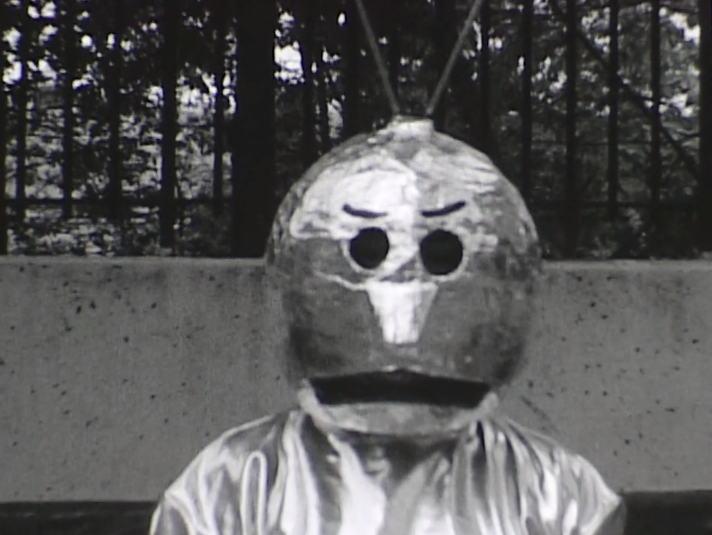 But he comes in peace, and soon the people open up around him. He hugs a little girl, plays basketball, takes pictures with the locals, grabs a slice of .99 cent pizza. A normal day, an outsider trying to find his way in. (3 minutes). Directed by Travis Wood. Performance by Dwayne Murphy Jr. and Alexandra Neuman.